Sunbathing on the banks of Dnieper, strolls in stately avenues, entertainment all night long. The Ukrainian capital is what you need for long weekends out of the ordinary. Mansions spreading on a verdant hill reaching the banks of Dnieper River, Kiev impresses the visitor at a glance. 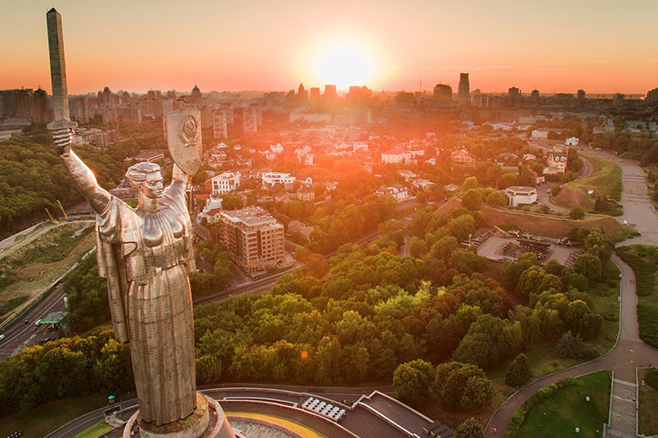 From the foliage of the chestnut trees on the opposite slope two opposing landmarks emerge: the giant steel statue of the Motherland a reminder of Soviet era and the golden domes of the monastery of the Kiev Pechersk Lavra sparkling under the midday sun. It is a famous pilgrimage together with other significant landmarks of the ecclesiastical heritage (the 11th century church-museum of St. Sophia, the Baroque church of Saint Andrew ) that strongly defines the city’s current travel profile. You will definitely stop at the Golden Gate (the official entrance to the city from the 11th century), you will visit the impressive metro station of Zoliti Vorota with its moving staircases that lead to the quay) and, of course you will make a quick stop to St. Sophia’s mosaics. 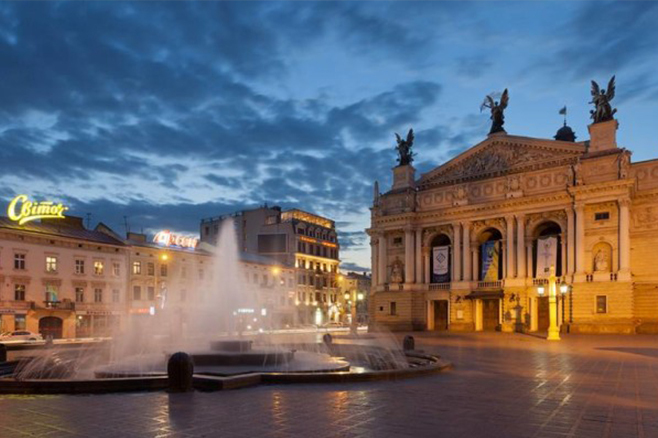 The city of Lviv is located in western Ukraine. In Greece it is also known as Leonopolis and Leontopolis from its Latin name. It is considered one of the main historical and cultural centers of Ukraine. In the late 18th century, it was named Leberg as part of the Austro-Hungarian Empire. After the end of the First World War, the Polish after regaining the city gave it its old name back . 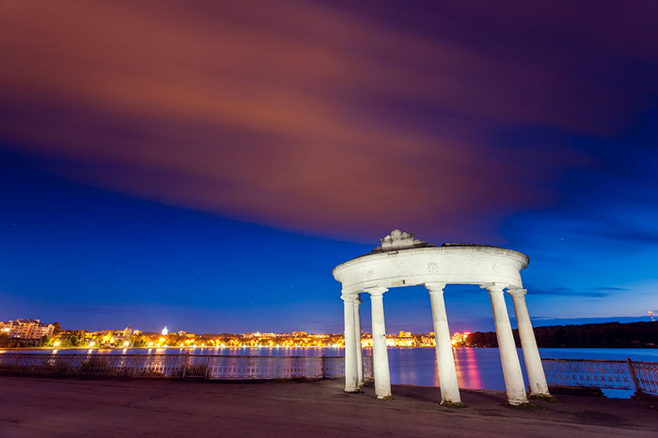 Ternopil is one of the largest cities in western Ukraine, located in its heart and has a major shopping center. It is a quiet, incredibly green city with a unique atmosphere, a history and a variety of interesting natural, historical and architectural monuments. An important monument of the city is the old castle, whose history began almost 500 years ago. It is the oldest preserved construction in Ternopil. Today, a stone wall with beautifully decorated gates surrounds the palace. Among the architectural masterpieces that contribute to the unique appearance of Ternopil is the Dominican Church. The church was built in the 18th century, at the end of the baroque era. Ternopil is a very welcoming and tranquil city. That is why so many travelers come here not only to admire its attractions but also to feel the warm and welcoming atmosphere. Ivano-Frankivsk is a historic city located in western Ukraine with 230,000 inhabitants, built in the middle of the 17th century. The visitor can find elements from various cultures inextricably linked together in Ivano-Frankivsk, the Polish town hall, the business center of the Austrian city, the Art Museum, the church of Resurrection, the Soviet prefabricated apartment complexes in the urban areas of the city and many other sights. 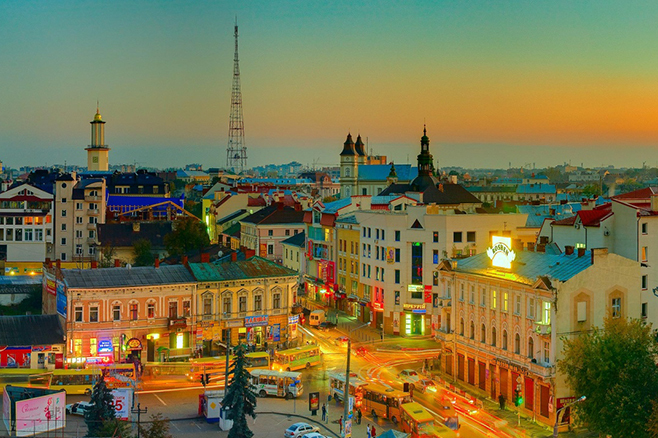 Ivano-Frankivsk is a historic city with long traditions, outstanding artistic life and dynamic economy. It is located in the south-west of Ukraine at a distance of 150-300 km from the borders of Poland, Romania, Hungary and Slovakia. The city is connected by road and railway network with the countries of Europe and the former USSR. Ivano-Frankivsk’s International Airport operates regular flights to Kiev, Alicante (Spain) and Valencia (Spain). The climate is moderate continental. The average temperature in January is minus 4.2 degrees Celsius in July 18.6 degrees Celsius. Ivano-Frankivsk is an important center of machinery industry, wood processing, chemical industry and light industry. The Local businesses support the economy and cooperate with more than 80 countries in the world. The city’s name is quite long and in everyday life it is simply called Frankivsk or simply Franik. Ivano-Frankivsk celebrates city day in early May. Chernivtsi is a city in western Ukraine and is located near the Prut River. 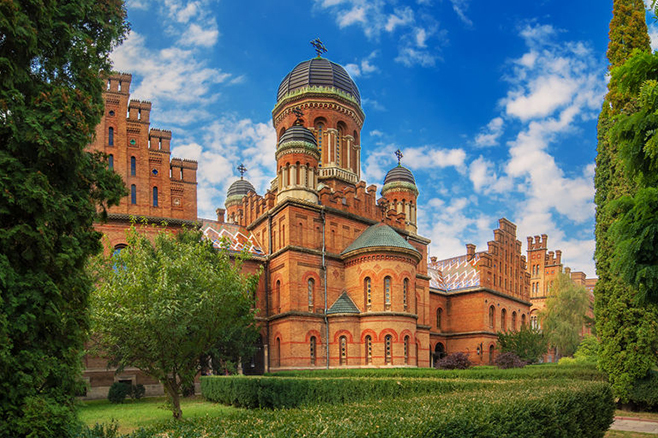 Chernivtsi is the administrative center of the district of Chernivtsi (province) – the northern Ukrainian part of the historical area of ​​Bukovina. Chernivtsi is now considered one of the main cultural centers of Western Ukraine. The city is also one of the major educational and architectural sites of Ukraine. Historically a cosmopolitan community, Chernivtsi was once called “Little Vienna” and “Jerusalem in the Prut”. Today Chernivtsi is twinned with seven other cities in the world. In the city there is an important regional hub of rail and road transport, the city also has an international airport.